Nicknames: "Accidental President"; "His Accidency"
Tyler's cabinet resigned after he vetoed banking bills supported by the Whigs. Signed the Distributive Preemption Act to facilitate westward expansion. Impeachment proceedings initiated against Tyler. It never came to a vote. In August, agreement of the Webster-Ashburton Treaty warmed relations with Britain and fixed the northern Maine border with Canada. On February 28, an explosion during the inaugural voyage of the USS Princeton killed six, including two cabinet secretaries and his future father-in-law. Tyler was aboard but was unhurt. Far East opened to U.S. traders after a treaty with China signed. Texas annexed followed by war with Mexico. The love story of Tyler and his second wife, Julia, in the aftermath of the USS Princeton. History of the Tyler home, tour information, virtuals tours, and a ghost story. Tyler was the first vice-president to assume the presidency after the death of the president. 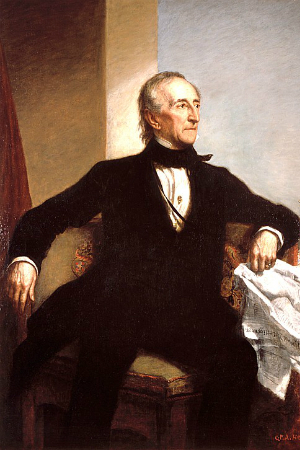 Tyler was the first president to have his cabinet nominees rejected by the Senate. 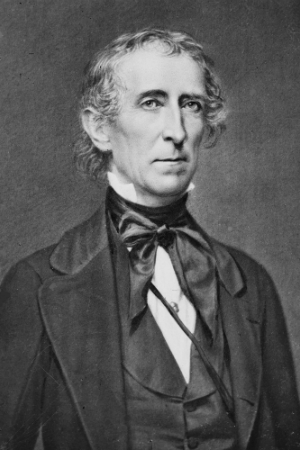 Tyler was expelled from his party by Congressional Whigs for vetoing a national bank bill for the second time. Tyler was the first president subjected to impeachment proceedings. Tyler was the first president whose wife died while he was in office. Tyler's marriage to his second wife marked the first time a president was married while in office. 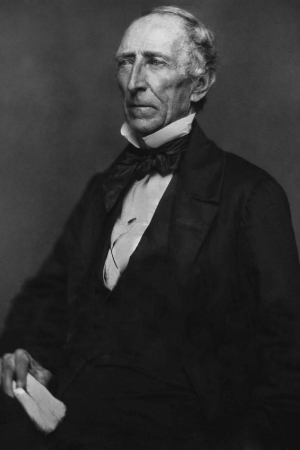 Tyler fathered fifteen children, more than any other president. The tradition of playing "Hail to the Chief" whenever a president appears at state functions was started by Tyler's second wife, Julia. In 1861, after leaving office, Tyler was elected to the Confederate House of Representatives. He was the only president to serve in the Confederacy.